You see this picture on the left a lot. 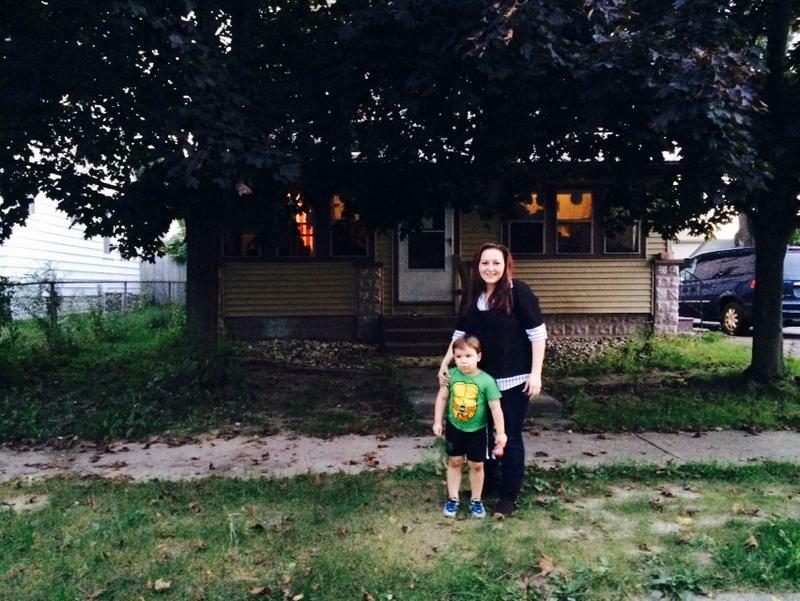 A new photo (on the right) demonstrates improvements in Flint. "No one should be drinking Flint water unless they use a lead filter," he said. “No one should be drinking Flint water unless they use a lead filter,” he said. Edwards said it’s very likely that people in the city will never be told the water is safe as long as there are lead water lines in the city. Edwards said the same recommendation will likely spread to other cities in the U.S.
Edwards indicated there are several cities that are thinking about recommending citizens use a lead filter on the water faucet. Flint’s water has improved drastically since the peak of the crisis in August 2015. 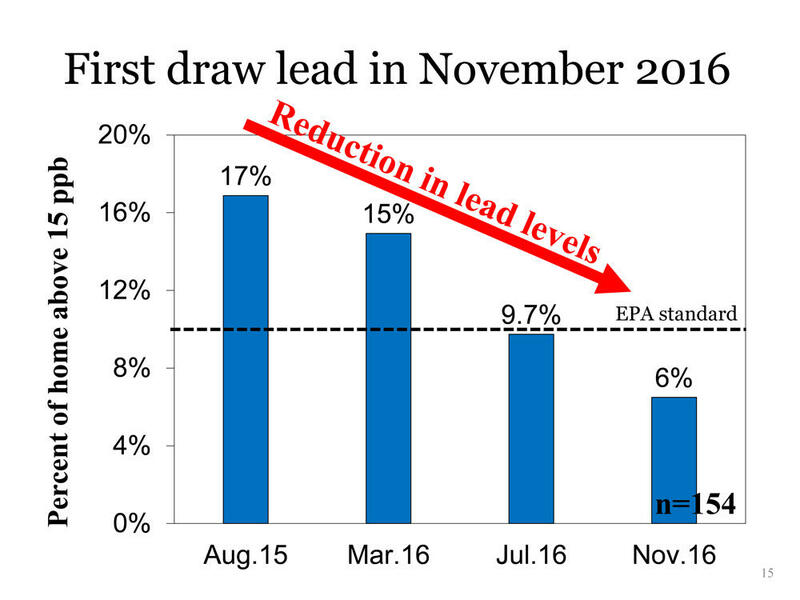 1) Lead levels are dropping in Flint water. The Virginia Tech research is unique in that it is the only water sample set that gives us a before and after picture in Flint. Of the original 269 Flint homes sampled in August 2015, 154 participated in the fourth round of testing in November 2016. Water samples from the same Flint homes tested in the summer of 2015 show improvement. 2) The water is safe to shower and bathe in. Edwards said residents in the city heard about “unscientific testing” that purportedly showed high levels of disinfection by-products in the water that could cause problems when bathing. Edwards said these tests were simply not accurate. He says if people are experiencing problems bathing in the water, those problems might be justified and should be taken seriously. That's because people can have reaction to a municipal water supply no matter where they live. 2) There is no evidence of Shigella bacteria in Flint water. Edwards suggested that the Shigella outbreak in Saginaw and Genesee counties could be due to residents’ fear of the water supply, resulting in the use of ineffective methods of disinfection. He recommended that the best way to prevent Shigella contamination is hand-washing. 4) Following up on tests done in June, the researchers did not detect Legionella bacteria in the distribution system water. They attributed this to increased awareness of Legionnaire’s disease, the switch back to treated Detroit water, decreased iron levels in the water (which is a nutrient for the bacteria), as well as the fact that Legionella does not thrive in colder weather. 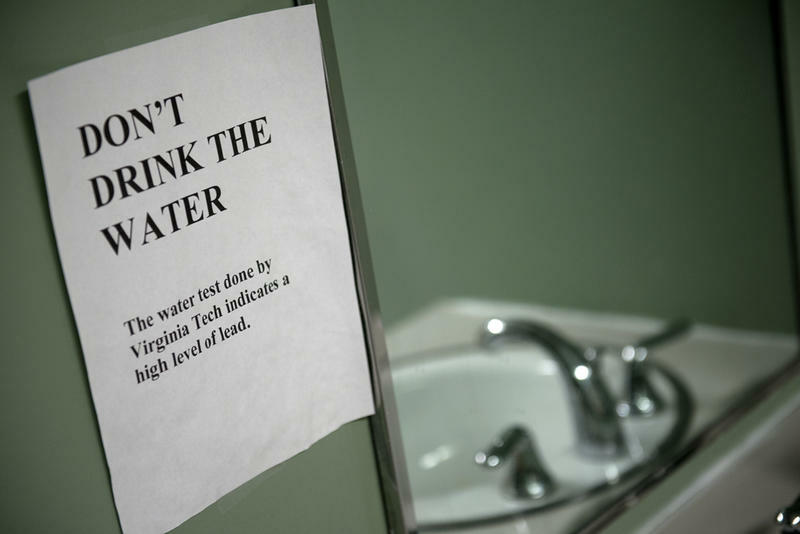 5) Virginia Tech's tests are not intended to replace federal and state water standard tests. Because their original testing was done through a random sample pool, it does not meet EPA lead and copper rule standards. 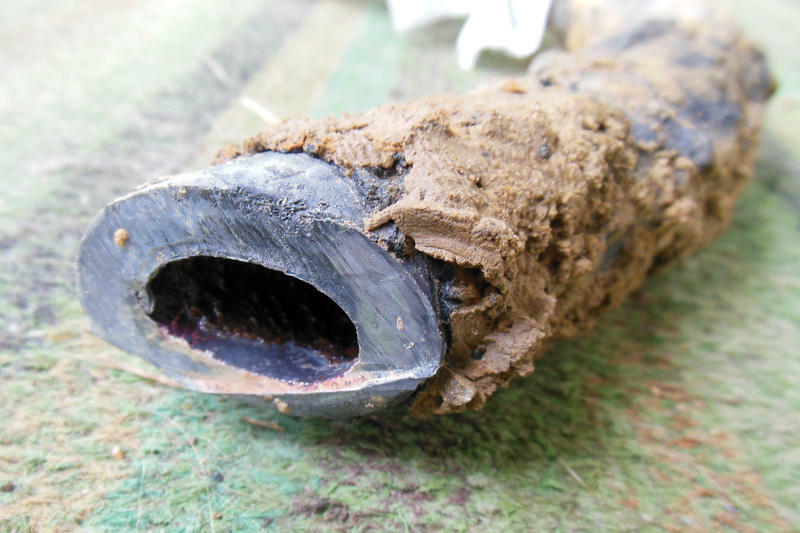 Those standards call for samples from potential “worst-case scenario” homes – homes known to have lead in the plumbing. Those results are still forthcoming from the state and the EPA. Edwards said the Virginia Tech team intends to continue to work with the state and the Flint community as needed. Researchers from Virginia Tech are announcing the results of their fourth round of water testing in Flint today. For many people in the city, their trust in government has been broken. They don't trust what the state, or the federal government say about the safety of their water. The Virginia Tech researchers are more trusted. They sounded the alarm about the lead crisis in the summer of 2015. And they've been retesting as many of the homes in their original study as they can. Officials are watching what the team has to say about the safety of the water closely. 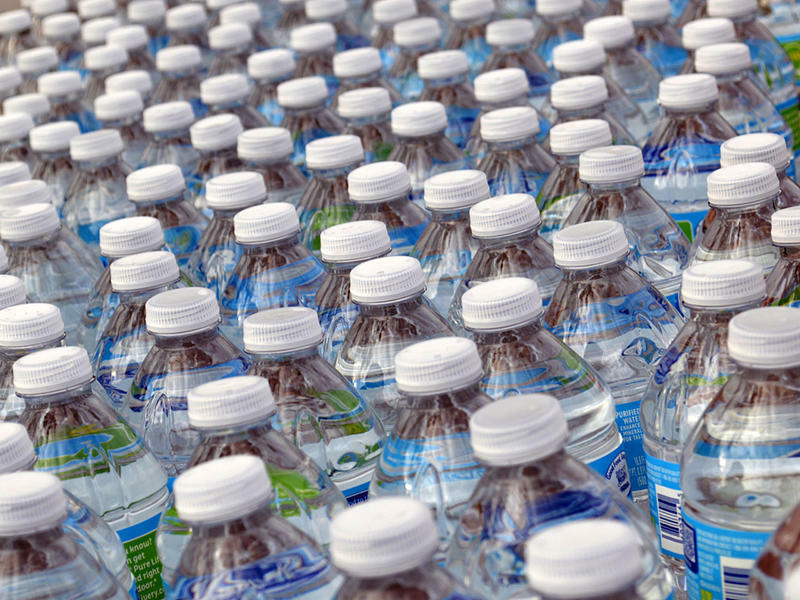 Michigan officials are fighting a court order to start delivering bottled water directly to some Flint homes. But local activists say that water is needed now, even as the case is appealed to a higher court. Earlier this month, federal judge David Lawson ordered the state and the city of Flint to deliver cases of bottled water to homes without working water filters. The filters are needed to screen out lead in the drinking water.